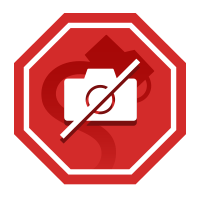 FACT CHECK: Is This a Photograph of Tree of Life Synagogue Shooting Victim Rose Mallinger? A Twitter user shared a photograph wrongly said to be the 97-year-old synagogue shooting victim. An image posted by a social media user shows Tree of Life mass shooting victim Rose Mallinger. Mallinger was one of 11 people massacred inside the Tree of Life synagogue during Sabbath services on 27 October 2018. An authentic image of Mallinger was published by several news organizations, including the Pittsburgh Post-Gazette. 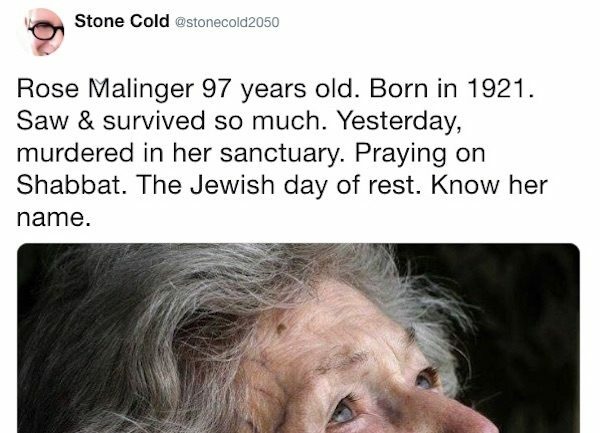 Among the misinformation spread online about the shooting and its victims was the false claim that Mallinger survived the Holocaust. Ryan Graney, who volunteers to speak on behalf of the family of Sandy Hook school shooting victim Vicki Soto, said she reported the misinformation multiple times to Twitter but received no response from the platform. “This is how conspiracy theories start,” she told us. We reached out to both Twitter and “Stone Cold” with questions addressing the post, but likewise received no response. An archived version of the tweet can be viewed here. Robert Bowers, 46, has been charged in the synagogue shooting. He posted a torrent of racist and anti-Semitic comments online in the lead-up to the attack. Pittsburgh Post-Gazette. 28 October 2018. The Washington Post. 28 October 2018.